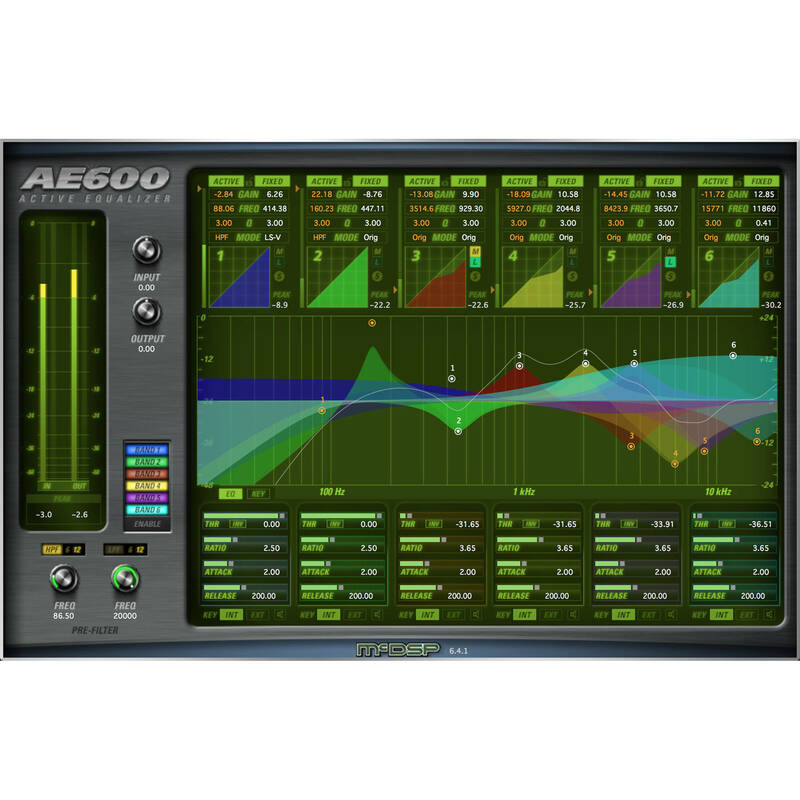 The native version and electronic download of the AE600 Active EQ V6 from McDSP is a virtual-processor plug-in that features six, fully-overlapping fixed and active EQ bands with each band having its own gain, frequency, Q, and mode controls. It can be utilized on Mac and Windows computers by producers, engineers, and musicians for applications such as recordings, films, broadcast TV, voice-overs, post-production, and more. 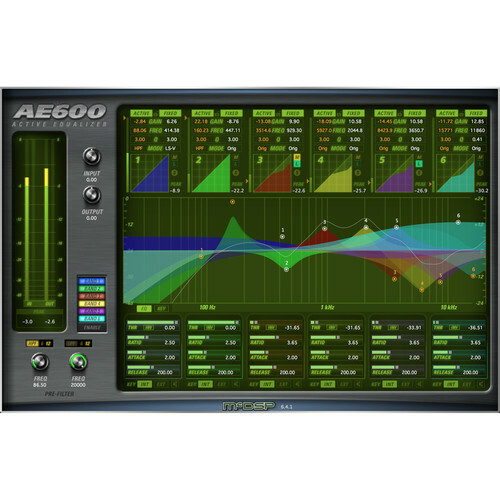 The AE600's active EQ response is determined by each band's threshold, attack, and release settings. A ratio control determines input signal level sensitivity to further articulate how the active EQ will reach maximum active equalization. Other EQ mode options include parametric, proportional Q parametric, 5x Q parametric, Baxandall shelving EQ, vintage-styled EQ, X-style shelving EQ, Baxandall shelving EQ plus filtering, and high- and low-pass filtering. Additionally, peak signal text readouts for each active EQ band's key signal allow for quick setup of each band's active EQ threshold and are located underneath band dynamics plots. Input and output controls, individual band bypass, band control linking, and band key signal monitoring round out the features of the AE600. Note: McDSP plug-ins work with iLok Cloud. AAX, AU and VST plug-ins work with iLok Cloud.